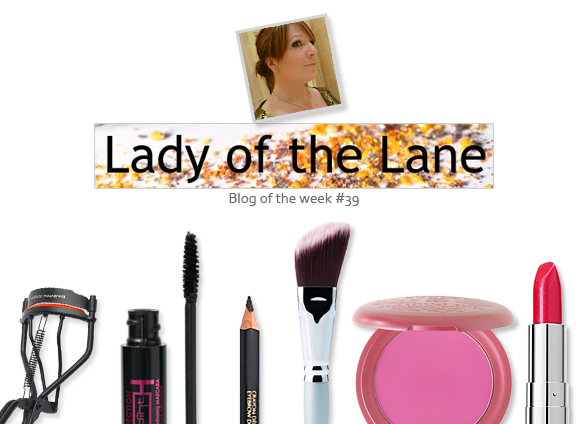 This week’s blog of the week goes out to Charlie of Lady of the Lane, a beauty blogging stalwart who always reviews the loveliest things, no matter whether they’re high end or low budget. Charlie is one of the most well-informed bloggers out there, and provides plenty of advice and no-nonsense assessments about the products that she tries. If she’s not a fan of a product, she won’t pretend to be – and that’s pretty refreshing. As well as her truthful reviews, it’s Charlie’s wittiness that keeps us going back for more. One of my favourite aspects of the blog is the ‘Beauty Bloggers Best Things’ feature, in which Charlie pins down some of the biggest names in the beauty blogosphere and asks them all about their favourite products. The resulting responses are so very interesting, especially when you consider how hard a task it must be to narrow down an entire beauty arsenal to just a few favoured products. It’s a weekly must read. Visit Charlie right here at Lady of the Lane, you won’t be sorry! This entry was posted on Friday, September 30th, 2011 at 8:00 am and is filed under Blog of the Week. You can follow any responses to this entry through the RSS 2.0 feed. You can skip to the end and leave a response. Pinging is currently not allowed.